WACKERNHEIM, Germany -- Working side by side with the German Bundeswehr and local disaster relief organizations, Army Reserve Soldiers of C Co., 457th Civil Affairs Battalion, planned and executed their first multinational training exercise April 2 at the 7th U.S. Army Joint Training Command Training Support Center. 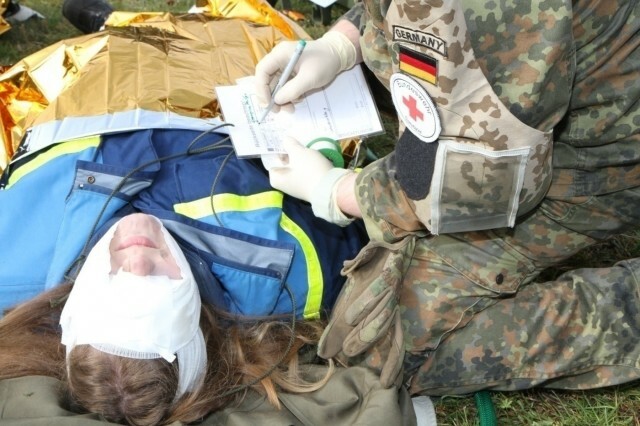 The scenario was designed to test the disaster relief and mass casualty skill sets of his Soldiers, as well as those of the German Bundeswehr, Red Cross and Federal Agency for Technical Relief (Technisches Hilfswerk, or THW). "It was a great opportunity to highlight our partnerships with our host nation, both military and other organizations, such as the German THW and Red Cross," Esra said. Using role players from the Red Cross, a local college and even family members, the goal was to make the training as real as possible. "Role players will be in make-up, teams will be using equipment they would use in the real world, and we even have pyrotechnics to simulate a catastrophic explosion," Esra explained. "My intent for Cobra Strike is to prepare our Civil Affairs Soldiers for participation in the upcoming Exercise Anakonda and evaluate how they work with multinational organizations in a stressful situation." The 457th is part of the first Europe-based civil affairs unit activated with the 361st Civil Affairs Brigade in 2010. 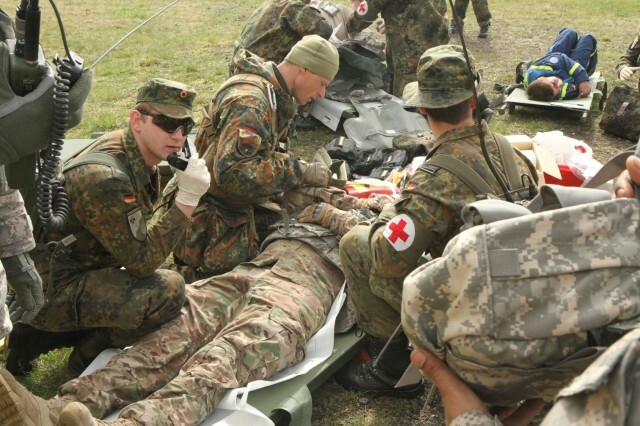 "Being able to work effectively with the German Bundeswehr and THW is an important part of our mission in Europe," Esra said. For Army Reserve Soldier Spc. Daniel Donaldson, the benefit comes from training directly with organizations he would encounter in the event of a real-work crisis. "An important part of Army Civil Affairs is ability to work effectively with foreign agencies and local leaders in an affected region," he said. "Hands on training like this, and the relationships we forge are more effective and engaging than a classroom power point presentation; I love doing this kind of training on my weekends." 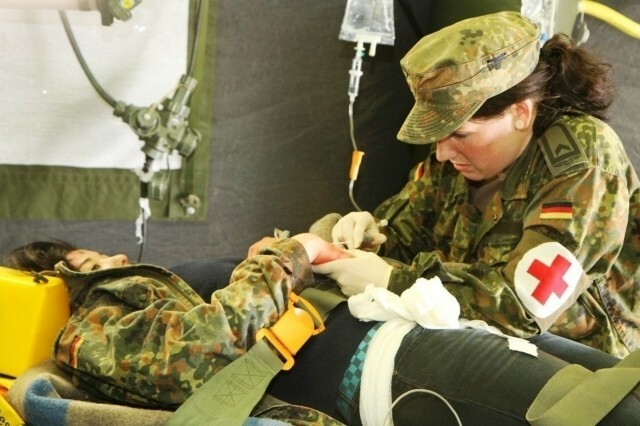 During the exercise Donaldson worked with the Bundeswehr's Major Medical Clinic Cologne-Wahn to evaluate and treat casualties brought in by ambulance. 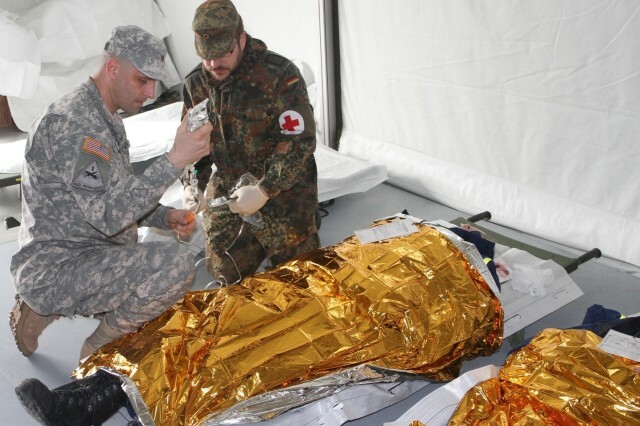 An event like Cobra Strike also benefits all volunteer organizations like the Red Cross and THW. 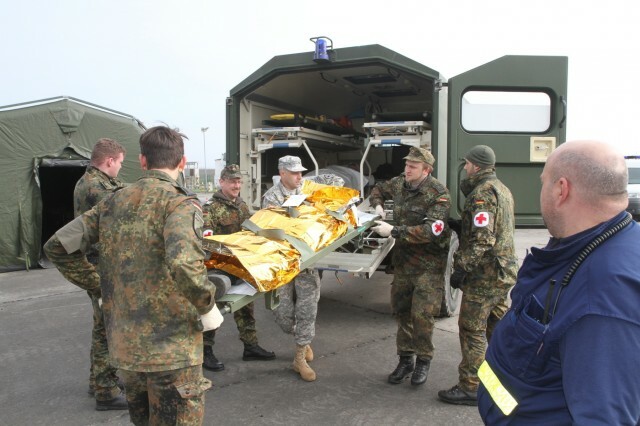 Ralf Essman, a THW commander, worked in their mobile command center during the exercise directing agencies to solve the types of infrastructure issues a crisis presents. "Things like the drinking water, power and search and rescue teams are what we engage in during a disaster," he said. Based out of Mainz, Germany, THW has been successfully training with the U.S. Army for the past three years. "For an all-volunteer group, opportunities like this are very exciting," Essman continued, "Training with other organizations exposes you to scenarios you wouldn't normally experience during our normal classes; the best kind of training." Esra expects a multinational training event, like Cobra Strike, to be part of their annual training schedule in years to come. "The lessons learned from Cobra Strike with be crucial in driving the planning of next year's event," he said. "We will also use the lessons learned to increase the effectiveness of our participation at Exercise Anakoda 2016." 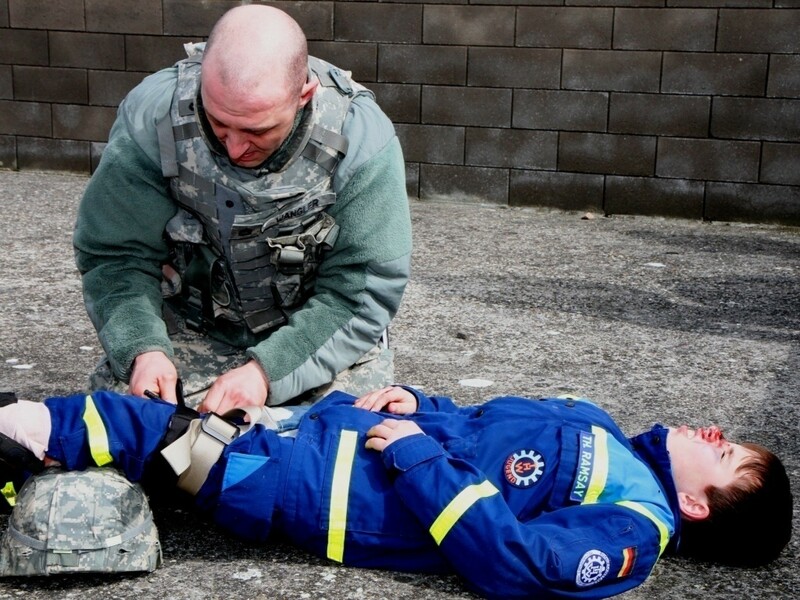 Esra also noted that the Serbian military has expressed interest in using the Cobra Strike scenario to train their Civil-Military Co-operation forces. "Each unit involved was able to train specific objectives and learn about our partners capabilities simultaneously," Esra said. 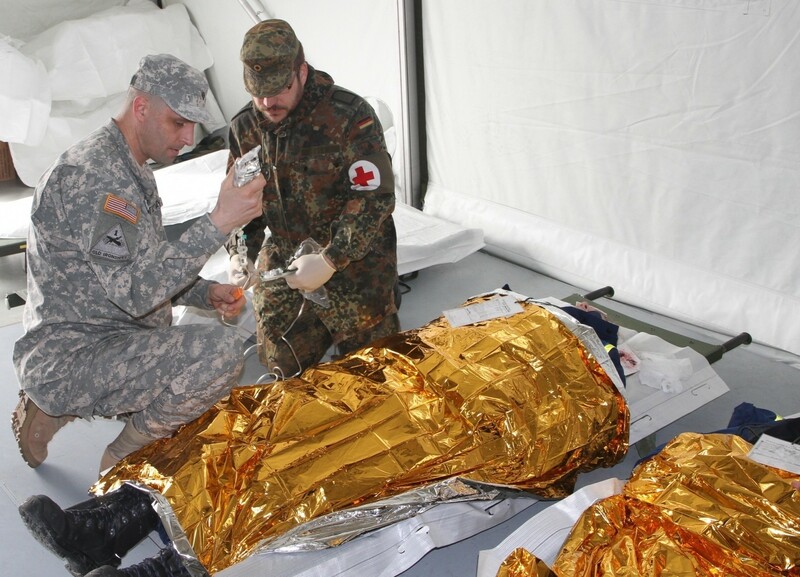 "This interoperability is right in line with what we must do while deployed. We are never deploying on a mission without having to work alongside our allies. This one day event demonstrated the Strong Europe spirit and our goal to make our training realistic."